Living in the upscale gated community of The Reserve is ideal of those looking for a beautiful home with the benefits of the west San Clemente region—although moving into your new home shouldn’t be a task that you handle on your own! Since 1972, Coast Valley Moving & Storage, Inc. has offered exceptional, high-end household moving services to residents moving in and out of The Reserve of San Clemente. With professional service and guaranteed quality, you can trust the details of your household move to the capable hands of our premier movers in The Reserve. 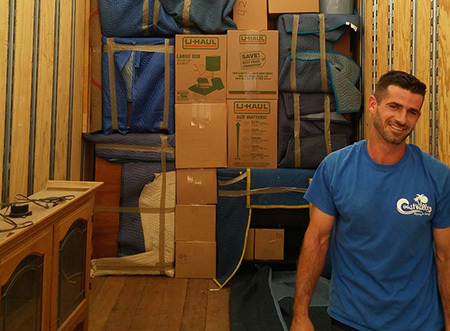 At Coast Valley Moving & Storage, Inc., we know that relocating your family can be a stressful experience—whether you are moving within the region or planning an interstate move out of California. Regardless of the size or scope of your household move, The Reserve movers of Coast Valley will go the extra mile to make it a success. As an A+ rated, BBB-accredited moving company serving The Reserve of San Clemente, you can count on our experience and expertise to make your relocation a seamless process. Local Movers in The Reserve: Nobody knows The Reserve better than the first-in-class San Clemente movers at Coast Valley! San Clemente Interstate Movers: Make your interstate relocation an experience that exceeds your expectations by choosing our full-service moving company and interstate agent of Wheaton World Wide Moving. Customer service and personal support are top priorities in all our services – from local moving to long distance relocation to storage solutions. When searching for the ideal local or interstate movers in The Reserve, having options for secure, affordable storage is ideal for managing the monumental task of getting settled in your new home. Our moving and storage professionals makes storing your household items easy through our well-coordinated, combined moving & storage solutions. With climate-controlled storage and a state-of-the-art security system, you can have peace of mind knowing that your belongings will be safe for as long as necessary. When you need experience, The Reserve movers handle your relocation with professionalism and expertise. There’s no better choice than Coast Valley Moving & Storage, Inc. To learn more and schedule your free moving estimate, just give us a call or fill out our online form today.